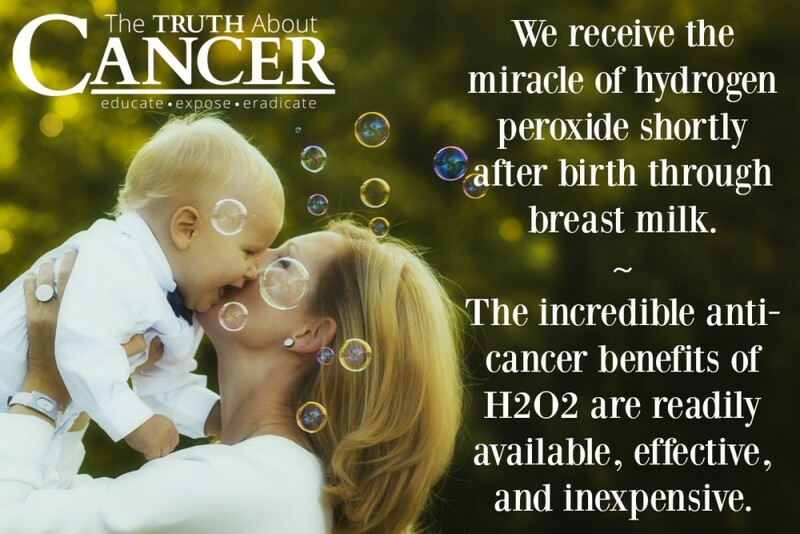 You are here: Home / Cancer Prevention / Is Hydrogen Peroxide a Medical “Miracle”? 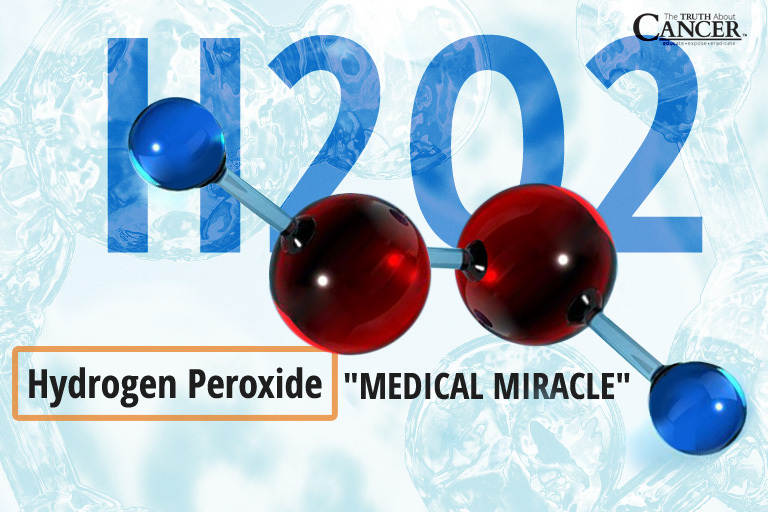 Is Hydrogen Peroxide a Medical “Miracle”? Without people like you who truly care about helping others, we wouldn’t matter. Please share this with friends and loved ones to spread the truth. Would food grade hydrogen peroxide at 3%usp be ok to use? Food grade comes only 35%. Never apply it without mixing with filtered water. 6 or 7 oz. with 8 to 1o drops of h202 (Food grade hydrogen peroxide) I drink this 3 x’s a day one hour before meals. I was diagnosed with non small cell lung cancer stage 4. I have heard many positive remarks about h202 and cancer and am willing to try it. My last CT showed 40% decreases of cancer cells. I am also taking Keytruda every 3 weeks. Dear Linda that’s wonderful. I’m looking for any information I can find. My amazing mom also has the same nasty cancer and underwent chemo and now radiation. I need to find her some better options because it’s taking a toll on her and she deserves so much better than this. Thanks so much for the encouraging info. I also have Stage 4 non small cell lung cancer and am undergoing immunotherapy treatment with Keytruda. I am interested in communicating with you further and finding out how you are doing with the H2O2 as I would like to try it. How much water do you with the drops? Add me to this group… I have advanced stage NSCLC (Adenocarcinoma) and am on Keytruda every 3 weeks. I have never heard of this natural therapy but will look into it. Any updated news for us abiut your health, Michelle? Hope all is well. I found 3%food grade. How do I take it? Do I still need to add it to purified water? Greg, with kidney cancer: I also had a totally malignant kidney removed almost two years ago. How did the hydrogen peroxide work out for you? I am now 78 years of age. I’m really concerned about a recurrence, but iffy about the hydrogen peroxide cure. Do you have any words of wisdom for me? Hi Linda, the 3% is not what you, need. You, will need too use 35% food grade H20 The brand I use is by OXY – Tech. You, haft too be careful taking this treatment. The Instructions I go with 3 drops daily in 8 oz of clean water. When you say drops, how are these drops measured. You do not have to use it with 8oz of water, one tablespoon will work and then chase it with a drink of water. You can use 3% FOOD GRADE , The ratio is 11 to 1. One drop of 35% Food grade hydrogen Peroxide is equal to 11 drops of 3% food grade. I take 21 drops every morning. I drink it in a tablespoon of distilled water. We have been doing this for over 4 years. I use it to control allergies which can lead to infections. We mananage to stay well. If we are sick we do this 3 times a day on an empty stomach. I suggest you check out “the truth about food grade hydrogen peroxide”. Where do you all buy your 35% food-grade H2O2? I’m looking online and e writhing is diluted to 12% or less for safe shipping, but I want to be sure I’m getting the real thing. It doesn’t seem as easy to find as I maybe used to be…? Tom: Amazon does not sell 35% food grade. They only sell 12% food grade reduced from 35%. I just purchased my first bottle of 35% food grade hydrogen peroxide at: http://www.fromedensgarden.com. They have to be licensed to sell 35% because at that grade it’s a hazardous chemical. It also has to be shipped ground. Amazon changed their policy to not allow 35% food grade to be sold any longer, probably due to liability issues and difficulty policing individual sellers and licensing. I buy my 35%from Blubonic Industries online. There is a 3% FOOD GRADE . Its called Essential Oxygen, I just bought some . Amazon has it and Vita Cost Vitamin sells it. Where are the testimonies of people who have been cured of disease by ingesting h2o2? I can’t seem to find any of them. I only find those who recommend the use of h2o2. check out earthclinic.com a great sight and has all the info I think you are seeking. Where can one buy real 35% food-grade hydrogen peroxide? February 2012… 15mm tumor reduced 72% within 1 month and this therapy was the only thing that was used combined with preoteolytic enzymes. Before this was attempted, my mother in law’s doctor planned chemo therapy. My mother in law’s doctor was so astonished that they did not even congratulate her. The doctor sat there quietly writing her notes. Personally, i have been using it since summer 2010. i suffer from severe respiratory problems and experienced pneumonia several times a year. Since then i have not had so much as a common cold since then. People might scoff at this but if taken correctly by diluting it properly in distilled water and timing it correctly with meals, it worked for me. Hi there, I started taking the Proteolytic enzyme, and took H Peroxide for two days, but I stopped as I got confused that some cancer feed on oxygen and also produce Hydrogen Peroxide? I have EBV caused stage 3 Metastatic Squamous cell cancer on Narsopharynx and neck lymph nodes.. what cancer did she have please? I was just told today about a book “The One Minute Miracle” by Madison Cavanaugh” (on Amazon.com) that describes clearly the specific protocol and kind of hydrogen peroxide and % to use (the that recommended % of HP is also sold on Amazo). I’ve also learned a lot from the 500 or more positive book reviews from people who who bought the book and have healed cancer and a wide variety of physical issues by following the protocol. I just ordered the book, am excited by the possibilities! As always, there are many different opinions about using it (or not). Some sources say dilute the human grade 35% HP down to a 12% formula, as in the book; and Ty Bollinger and others says dilute it to 3%. Not having yet read the book, I don’t know where the original sources of these ideas come from; it says in the book description that these protocols have been widely used with success and documented in Europe for many years. I spoke today with someone who followed the protocol in the book and healed completely from pancreatic cancer in about six months, with his symptoms disappearing within only 3 weeks… and all his blood tests are still normal many years later. My father has cancer and he doesn’t want to undergo surgery or chemotherapy. I am losing hope on how he could possibly survive. I’ve read a lot of good review about hydrogen peroxide. Im hopeful about the effectiveness of this miracle product. Please help me find it in Canadian store. Amazon cannot ship it due to some restrictions applied with this product. You can get it at any hrdoponics growing store. I just bought some at the health food store ( in Canada).  Do not rely on any one thing – fasting, building up your health with vitamins, vegetable powders – watch Mercola and D’Agostino on youtube on the ketogenic diet. There is no one magic bullet. If you can’t find it, have him do water fasting. 7 days, you get a new immune system and it gets rid of fungi, bacteria and infections. People and dogs have been healed of Cancer with an 18 to 21-day water fast. That needs to be supervised because one woman who had a bad heart died a week after a 21-day water fast. Most people don’t die and people have been water fasting with religion for centuries, but that woman did. 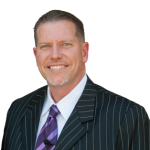 Look up Dr. Goldhamer True North in California for the story of a woman who was healed in 3 weeks. They submitted it to a journal so it is official. Even a 7 day water fast or a 14 day water fast can accomplish a lot. Even if he can’t fast, he can do it with diet. He can do it Keto, especially if he likes Coconut Oil. To be most efficient from any direction, he needs to keep animal products to 5% of the calories per day and not eat sugar or white flours. (Cancer stalls at 5% animal products is what T. Colin Campbell and Dr. Fuhrman have said.) KetoPet Sanctuary heals dogs giving them 90 to 95% coconut oil, 5% vegetables and 5% animal products. He doesn’t have to do it Keto. There is Methionine restriction and restricting IGF-1 (those are both in animal products) people have been healed using diets which restrict Methionine and IGF-1 and people have been healed doing anti-angiogenesis diets. There are lists of anti-angiogenesis foods online. I am not trying to confuse you. If he does Keto, he has to really still watch the animal products because Cancer can use them to produce glucose. He also has to watch Glutamate because Cancer can use that in place of sugar. If he goes Vegan Whole Food Plant Based, there are doctors handing people a “How Not to Die” cookbook and saying, “Just cook from these recipes and one of those doctors said they are having good results doing it that way. Dr. Kelly from Ireland has a book about using the China Study with his patients and he said that all of the people who stuck to the diet were still alive. I personally know several people who have been healed with Gerson. 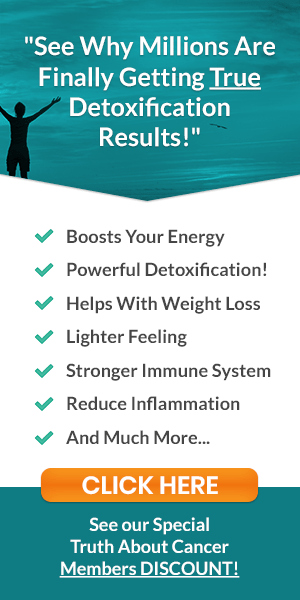 But Gerson is time-consuming and if I was doing it that way, I would start with as long a water fast as I could before doing it because people get healed in 18 to 21 days water fasting and the testimonials with Gerson are long ones. I watched a YouTube video where someone alternated water fasting with eating just fruit. The “just fruit” is about Methionine restriction. Most Cancer is 100% dependent upon Methionine and can’t survive without it. That is most Cancer. Not all. 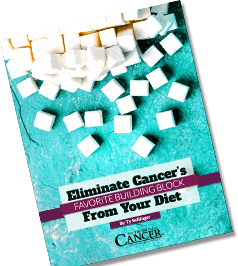 Even if it isn’t Methionine dependent, eating fruit can also help by giving enzymes and if you aren’t eating animal products, those enzymes would be available for removing the fibrin off of Cancer’s cell wall. (The same enzymes eat the cell wall of cancer and digest meat so too much meat stops your body from being able to expose the cancer to the immune system.) 7 days of fasting might be the quickest way of exposing the Cancer to the immune system, but taking enzymes also helps, as long as you don’t eat too many animal products. Cancer is a Mitochondrial disease, but I was watching videos and I am pretty sure it was Dr. Seyfried who said that some Cancer cells still have some functioning Mitochondria, which would mean that some of the Cancer isn’t using fermentation, but most is, so going into Ketosis and getting rid of glucose and glutamate and animal protein would work, to starve any Cancer cells depending on fermentation, but again, cancer can use animal products and your muscles to produce glucose from those. So if he does Keto, he should combine it with water fasting, even if it is 5 days on and 10 days off. Dr. Furhman has healed people with his diet. Dr. McDougall has healed people with his diet. Dr. Ornish has healed people with his diet. Dr. Greger has healed people with his diet. People have been healed using The China Study. People have been healed using Gerson – Juice Fasting. People have been healed using Water Fasting. True North in California is the place which led someone through the water fast and published the results. I hope its not too late, but h2o2 works really well in conjunction with artemisinin. Vitamin B-17 from apricot pits. I have been using hydrogen peroxide for years– for a lot of different things and have been successful. I am now 87 years old and I really don’t think I would have lived this long if it had not been for peroxide. The 35% grade , if taken orally should be mixed with water–10 to 1 will get you close to 3%.There doctors who specialize in using peroxide by injecting thru IVs.. I have had several of these and and it works well. I also use the 12% and dilute it down to close to 3% by using 3 parts water and one part peroxide. 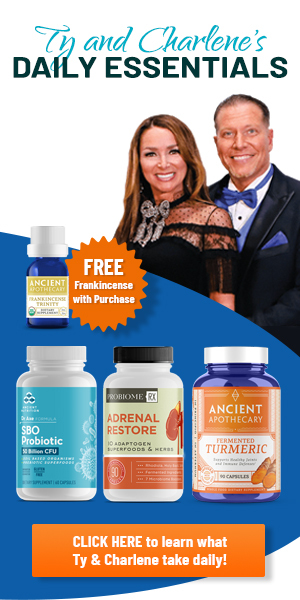 I have had success — for treating flu, arthritis, emphyzema and a lot of other things. As long as you stick to the proper mixture– speaking by what I have encountered there will be no problem. 87 and as sharp as a needle ! Congratulations. hello im trying to find DOSEAGE info for oral h202 as well as instructions how to make and dose h202 in an I.V. Kelly, I’m so sorry you’re going through all of this. I can’t help you with the IV instructions, however, I can help with the oral dosing. Obviously you need the 35% food grade H2O2. Always take on an empty stomach (1 hour before food or 3 hours after) in 8 ozs of filtered water as there are too many impurities in regular tap water. Each day add 1 drop until you get to 25 drops, 3 times a day. Stay at the 25 drops for a week or two, then you can back off to a maintenance dose. You will want to be careful when handling the full strength H2O2 as it will ‘burn’ your skin. It is easily resolved by flushing the area with water if it happens. There’s a good article by Dr. David Williams that you can find by googling “food grade peroxide, Dr. David Williams. I hope this helps, and I wish you the best. Only a couple of drops in 8 ounces of distilled water for the H2o2. I agree with this being a better and the true way to do it. But many are saying to add large amounts to Colloidal Silver and that is wrong. If you use it with silver, it should be just the opposite of this. A couple of drops of H2o2 35% food grade and add it to silver water. It makes the silver 100 times stronger to kill anything bacterial in the body. I say this to most of the silver users out there that wants to kill all viruses known to man and will help keep cancer cells, bad bacteria and fungi at bay as they come in contact with our cells in our body. hi.how much colloidal silver can you use with 2 drops of the 35%food grade H2o2.thanking you.have a nice day.merry xmas. I did this up to 80drops twice a day and it cleared my life long sinus. Gonto CancerTutor.com and look up the Dirt Cheap protocol, you can do many things on that list that are very inexpensive and will help! You don’t have to worry about dying of a disease before old age if you take the steps to help halt the disease in time. It helps if you have family members to help manage everything with you, but if you don’t, then that’s okay too, you can do this! Write me in private on facebook ( AtilaKun ) for help you. I’m with you. I’ve tried all kinds of treatments to cure my breast cancer and finally found an old pamphlet in my files on H2O2. You make me laugh because all you said in your post is so right. We live in a society that tries to force us into cut burn and poison for cancer, will not allow us to heal with other measures. The pamphlet says that drinking and bathing in diluted food grade h202solution can produce results similar to ozone blood treatment. The principle is the same – peroxide is just water molecules with extra oxygen atoms and it kills the virus by oxidation as it spreads through the patients tissues. Use about 2 quarts 3% h202 to a tub of warm water. Soak at least 1/2 hour adding hot water as needed to maintain a comfortable water temperature. To make 3% H202 mix one ounce of 35% food grade to 11 ounces distilled water or filtered water. Best of luck. God bless. Yep, very good book to get informed about how to use the 35% Food Grade Peroxide. I would definitely read before using! I second this, I am battling prostate cancer and read this book, all of y’all read it! It will save ur life! I just started H2O2 therapy and I feel like crap. Headaches (which I have had for a year) have gotten worse. Tired (which I have had since I was a teenager). How long does it take for these things to go away. Big thing I am looking to do is get rid of frequent urination that came out of nowhere a month ago. Hi I have consulted with Dr. Buttar (expert from the ttac series) who has advised against taking hydrogen peroxide food grade rally. and says it should be administered through IV, otherwise could potentially be harmful. Could anyone shed some light on the matter. I was advised by my naturpathic dr to get hold of some HP food grade. That said I live in the UK and any hydrogen peroxide above 5% is illegal here. however I may be able to get hold of 16% hydrogen peroxide and I’m being told its food grade. but after the above advise from Dr buttar I am now reluctant to take it orally. I was diagnosed with eczematous dermatitis in October 2017. My hands and feet get deep fissures that bleed and it is so painful and debilitating . I have been taking 11 drops of hydrogen peroxide with 8 ounces of distilled water 2 to 3 times daily for a month and my hands and feet are 95% better. I am so happy and relieved and can live a normal life again. The best part is I am running again! Yay! That’s great to hear that hydrogen peroxide has helped you so much! Thanks for sharing Marika. I’m suffering from the early states of Rheumatoid Arthritis in my hands. I’ve ordered food grade H2o2 and am anxiously waiting for it’s arrival. The anti-inflammatory pills prescribed by my doctor does not seem to be doing much for me. How can we know what to believe? during research i found that its so controversial. one minute im reading its so great to take peroxide and the next im reading how its bad for your stomach and causes all sorts of problems in the body. How can we truly know what to believe? Im in the middle with it…. People want to be certain, but how can we be, if all the information is confusing and hard to trust? I would like to hear a response from TTAC. We are in the same boat. Rachel, if you never try it for yourself, you never know. I was afraid like you, but I first start out with 1 drop for a week, then 2, 4 ,6, 8 and stay at 10 drop now. I feel so much energy with h2o2. How much water did you put the drops in Kevin ? 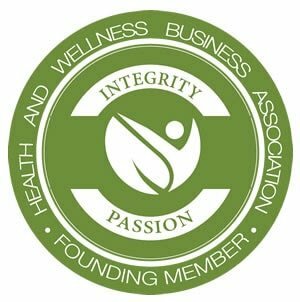 Hi there – Based on the comments I’m reading above, where some types of cancers are “fed” by oxygen enhancement protocols, I’m wondering….. I have HPV cancer in my tonsil and in two of my lymph nodes in my neck. This cancer has a P16 marker. Does anyone know of any way (person, research forum, doctor, scientist, etc. – including what type of specialist/scientist I would need to contact) where I might be able to conclusively find out if this particular cancer is fed or starved by hydrogen peroxide therapy? Thanks so much and I will report back with my research and/or application of . Hugs everyone. Hope this is helpful to you. Please feel free to reach out to us again if you have any further questions. I had a type of lymphoma cancer in 1984 and the doctors told me I was going to die if I didnt do what they said.. Did the h202 treatment and my doctor couldnt find the cancer in my body , got very upset and disowned me. I have never stopped using it. Word of advice. Some people, friends and family will discourage you by telling you, you are crazy and stupid. Thats what happen to me. The 35% is not the only one you can use. If it says food grade, it is food grade no matter what percentage. The 35% is unstable and you have to be careful with it. Very Very important not to drink it full strength, thats why you see 12 and 3 % on the market these days. Miss use of it gives doctors a reason to discredit it. 35% start with 6 drops in distilled water with you stomach as empty as possible and work your way up to at least 12 to 20 drops. Best in the morning and 5 hours after you eat. I take it before bed on a very empty stomach and then first thing in the morning. Very very important not to stop or interrupt treatment, depending on what you are using it for determines how long to take it . I took it for 3 months. Some people go though a detox syndrome and you have to back off the drops to as much as 3 drops if needed, but dont stop. The first thing you put in your stomach is very very very important. You are cleansing your body, oxidizing it. Think about what you are doing. Think about how the body works and or find out. Do your own research, that means dont take one side of the information. Thank you for sharing, William! Hi my 34 year old brother has a glioblastoma tumor has anyone heard that hydrogen peroxide works for that? I’m so sorry to hear about your brother – I’ll be sure to pray for him. Unfortunately, we are unable to give any kind of medical advice, and in your brother’s case it would be best if you reached out to a health professional. 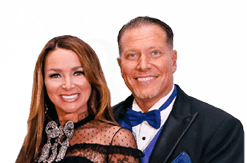 The best advice we can give you is to consult with one of the doctors we interviewed in the Global series. Hydrogen Peroxide does work! I had a huge canker sore that lasted almost a month, I tried everything as lemons, salt, listerine mouth wash, and amoxicillin and nothing worked, I haf bought a bottle of hydrogen Peroxide 3 becaise my aunt told me about it, and for the first 2 days of taking it, that canker sore was almost gone, amazing results, the dentist who I went to referred me to a specialist due to the fact that he did not know what I had, and for less than 4 dollars this marvellous product cured me and saved me a cluple of hundread dollars og seeing the specialist, I am amazed that hydrogen Peroxide did the trick, for now on this is on my top list of best medicine and treatment around!!! This is fantastic to know. Wonderful news that you were able to resolve this with hydrogen peroxide rather than investing a few hundred dollars to see a specialist. Can anyone please let us know about the doctor who can recommend hydrogen peroxide. My dad have AML which is a worst kind of cancer u can get. Doctors recommended chemo but we r going on an alternate route. Struggling as of now. Every situation and patient is different, so want to consult a doctor or an expert before we start hydrogen peroxide treatment.